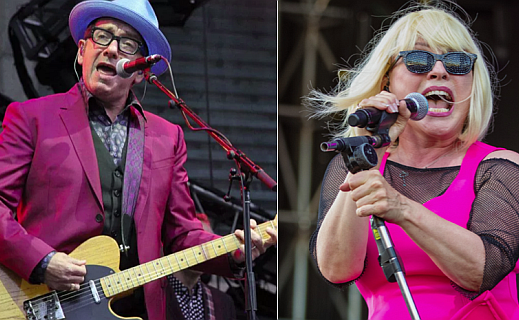 Elvis Costello & The Imposters and Blondie will team up for a coast-to-coast co-headlining tour this summer. The 13-city tour kicks off in Bethel, New York on July 20th. The itinerary also includes performances at Forest Hills Stadium in Forest Hills, NY; BB&T Pavilion in Camden, NJ; Greek Theatre in Los Angeles; and Santa Barbara Bowl in Santa Barbara, California. Tickets go on sale beginning Saturday, April 6th via LiveNation.com. Costello will be touring in support of his 2018 album with the Imposters, Look Now, which marked his 30th album to date and first in five years. Blondie’s last full-length release came in 2017 with Pollinator.